Published by:Themes, Wallpapers & Icons! ⭐⭐⭐⭐⭐ The Bat Hero Theme Launcher will let you show your unique style with fun icons and backgrounds. Turn your phone into a fun display of colorful backgrounds paired with fun icons with this home screen upgrade! It’s easy to use Bat Hero Theme Launcher, just download and follow the prompts to configure your background and icons. Set as the default launcher to take full advantage of all features and for the themed icons to work*. 🌎 Customizable -1 Feed: Stay up to date with current events, weather conditions, calendar events, trending videos, and more with just a single swipe to the left. 📂 Pro Suite: Our pro suite of applications will help you organize your life and upgrade your stock apps. 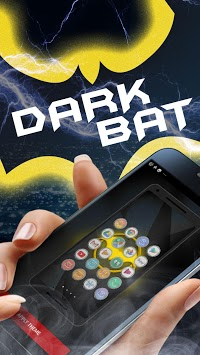 Bat Hero Theme Launcher comes with Contacts Pro, Clock Pro, Calculator Pro, Flashlight Pro, Notes Pro and Draw Pro to help enhance your personalized experience! 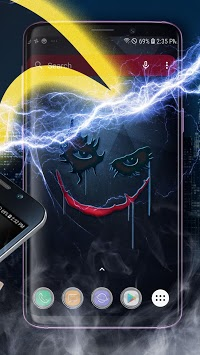 ⬇️ Download Bat Hero Theme Launcher - Wallpapers and Icons. Comment and share with your friends! 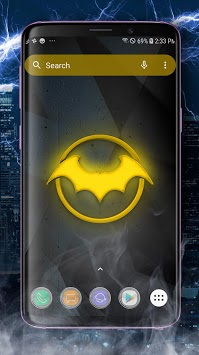 * Bat Hero Theme Launcher must be set as the default launcher app for full theme support as well as themed icons, per-icon customization (image and label), notification dots on app icons, app shortcuts on app long press, customizable search bar and all features of the -1 screen.